My name is Arnulfo Fernando Gómez Oxlaj. I´m an indigenous Mayan whose soul cries out with those of my ancestors when every day I see children born into the world condemned to be beggars, without a space, freedom or hope." I was born in Guatemala, a beautiful, fertile land which previously encompassed the territories of Belize and Chiapas, Mexico. It is home to mountains, rivers, volcanoes and lakes, and myriad ethnicities including 22 different Mayan groups. The Mayans are famous for building pyramids such as Tikal, Kumarkaj and Iximche. I am from the K´iche´ Mayan people. 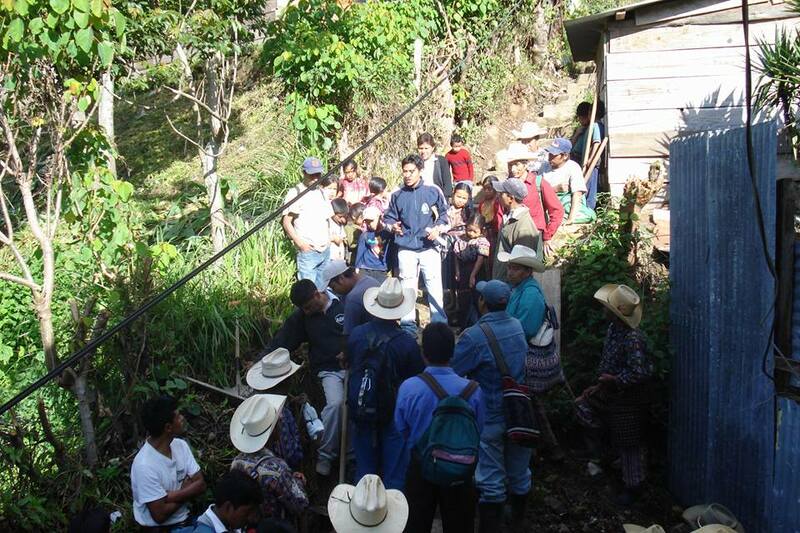 My village is an oppressed and marginalised indigenous K´iche´ village. 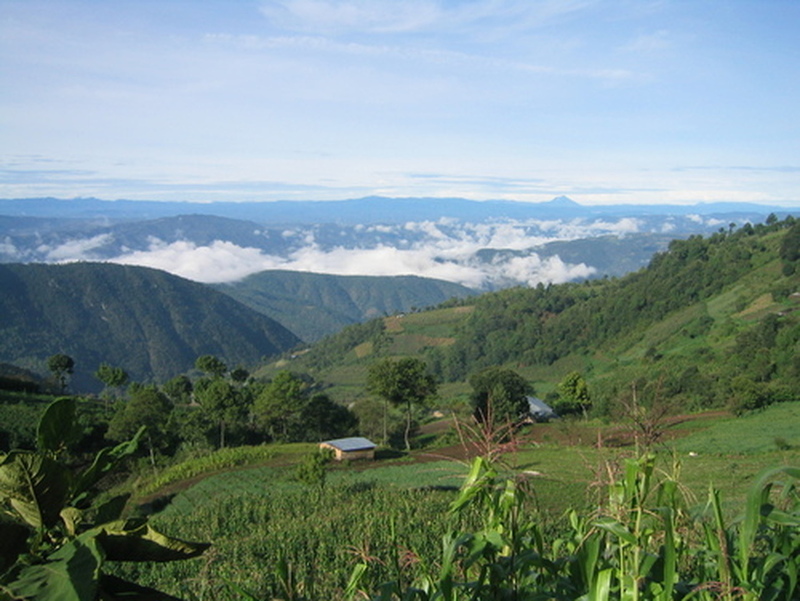 Chiul means “on the edge of the ravine”, but in reality it is adorned by lush mountains. Its people are very lovely; we call its women “warriors of peace”. Yet we indigenous people suffered a holocaust, a holocaust which has left us buried beneath fear, injustice and hunger. And ever since that holocaust, Chiul´s glorious mountains have become deserts, its rivers, lakes and streams polluted, and every beautiful child and woman exists in a waking state of coma in which their vital signs are slowly diminishing. It has become a heaven for the oppressors - and for the ninety-five per cent who live without freedom or food or water or space or education or home or justice, a hell. I call this "the war on peace." n 1996, following 36 years of holocaust in which over 200,000 of my people were murdered, the Guatemalan Peace Accords were signed. Yet the war continues. Today, my people are besieged by a psychological war, one of the deadliest wars in existence whose primary weapon is the virus that is programming and poverty. Children are programmed to accept poverty, to accept hunger, to accept slavery, to accept a life devoid of freedom, education or justice. This virus eats away at them like a cancer until they believe that they were born for this. And the bullets in this war are that false democracy that is preached today which has nothing to do with equality and justice, and everything to do with oppression, injustice and racism. For the indigenous people and the overlooked and oppressed peoples of the world, this “demigod-acy” has been a stone around our necks that pulls us down to the depths of a sea of poverty, injustice and slavery. My precious Chiul has been turned into a place where survival is a challenge because the government, corporations and public institutions don´t respect life. A place where human rights are millions of light years from the indigenous and the poor, and peace even further away. A place where racism has become the norm. Not even the tiniest drop of human rights is respected in Guatemala. ​In my precious Chiul, our traditional indigenous way of life has been destroyed, our lands confiscated. Even today, the majority of indigenous people can´t read or write and don´t speak Spanish, governed by laws they don´t understand. And if an indigenous person opens her eyes and uses them, in the name of “democracy” they will make her close them again. I say this out of experience. There have been numerous attempts made on my life. I am sharing this with you as an indigenous K´iche´ Mayan man who survived this holocaust, a holocaust which today the government denies ever happened. However, the difficulties I survived, together with my beloved family, have been transformed into a column for my dream. I´m the fifth child of parents who, together with my brothers and me, had to make huge sacrifices and perform inhumane labour just to obtain a piece of bread for our table. There are different levels of poverty. In developed countries, there is need and there is strife and there is inequality and there is injustice. Yet the level of poverty that I´m describing here is an inhumane daily struggle for survival that my people and many people in the world suffer. Even animals in their natural, undisturbed habitat have food. Yet today they, too, are losing their home and their fight for survival. ​As an artist, I began to teach art to children and young people in order to unleash their creativity and prevent alcoholism, one of the most destructive forces in my village. As I sold more paintings, I began to provide orphans with food and clothing. I wasn´t a millionaire; I was a child. We humans are not rich because of what we have but because of what we do with what we have right now. My wealth is the knowledge that my people have a hunger, a thirst to reach that promised land. It´s a single faith, a single vision. 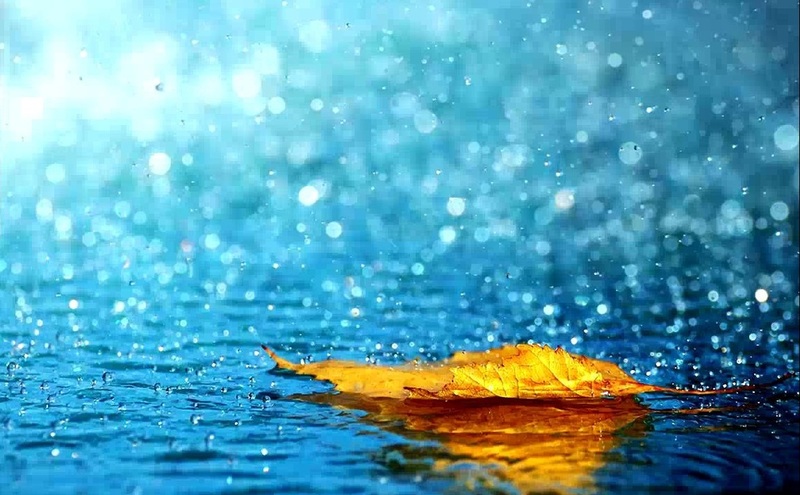 I saw this vision as being like the rain: it comes from a single place, but falls to Earth in different places causing trees and the earth to bear fruit in every place on the planet. That is the vision. There is nothing lovelier than telling an orphan, Don´t fear, I´m here with you. We´re here with you. We´re brothers and sisters, you and I. You´re not an orphan anymore; I´m your brother, your father, your uncle, your friend. Taking action gave me more determination and strength. Every time the well came into my mind, I took action. I began raising awareness of my people of their gifts and mission. I began teaching people in churches, community activities and in their homes about their rights as human beings. Over time, I saw that this dream is indeed like the rain but that, unlike the rain, each drop is unique and has a different task. Yet I saw that the challenges were great. Not only were there hunger but also illiteracy, malnutrition, violence, orphans and disabled children who urgently needed treatment and surgery. I will never forget those moments when I have reached the sick only to see that it was too late, that my medicinal plants could do nothing. Advanced pneumonia. Gangrene. The final stages of stomach, liver or brain cancer. Mother and baby gone. Conditions that began with a simple cough or ache but nobody ever reached out their hand to those people. I will never forget those children crying over their mother´s dead body during the war. Those newborns without a father and now a mother. I will never forget those homes I´ve visited where the children were crying because the mother only had one tortilla for the whole family, those children made of tortillas and salt. Through my godfather I had learned that people in developed countries, too, had difficulties. I saw that many young people are depressed and feel useless, and yet there´s so much to do, not just in Guatemala but also in their own countries. And nobody is more or less. And so we opened the opportunity up to individuals, to schools, institutions, organisations and universities to come and learn about this humble knowledge of life – a knowledge which doesn´t just inspire people to dream and realise their dream but, more importantly, ensure that their dream, their drop of rain, is contributing to peace, justice and equality and not more destruction. I sought to inspire young people not just with words but through action, by my example, the reality of my work and the disaster of war and poverty. In 2001, when I was 16, we founded the PAKL Institute (Institute for the Promotion of an Ancestral Knowledge of Life), which helps people from around the world realise their mission and use their gifts towards peace through a practical teaching that takes people beyond four walls out to the reality of their lives. Through my teachings and personal guidance, I help them see the reason for their existence, to free themselves from the confusion, depression, programming and destructive feelings that keep us from true love and finally experience true peace not just of mind but in the depths of their souls. I also practice and teach natural medicine and physical therapy, as well as a form of physical preparation for a healthy body I call “Yogamaya” whose traditional name is “Ruchoq´ap Achi Leu” (Strengthening of the Clay Body). This knowledge has helped people around the world from all walks of life heal their lives, take the difficult steps to change, and find peace. Together with my vehement rejection of all war, this is my individual contribution to world peace. I can´t change anyone, but I can share my experience that peace is unequivocable. Not only did the Institute become an important source of project funding, but also the students of the Institute have, in turn, become angels and drops of rain in helping me in this difficult task of taking my people to that promised land. Help for my people increased exponentially. We didn´t just build homes but also remodelled schools, building new classrooms and making access routes safe. I also looked into ways in which women could contribute to the family economy without having to go and suffer cutting sugar cane or cotton in the coastal plantations. I organised weaving and embroidery classes and it had a great impact on their lives. In return for their training and nutritious food for their family, the women attended literacy classes. 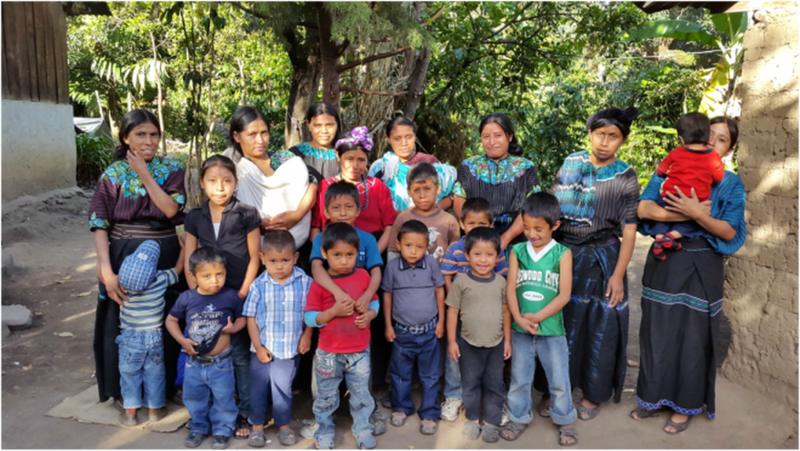 Subsequently, I began to give formal human rights training so that one day we might have a government that distributes the riches of Guatemala evenly among the people. I also began accompanying vulnerable people in court to protect them and help them fight injustices against them. The government seems more interested in creating more weapons, prisons and centres of false justice than in creating schools and healthy citizens with values. In 2008, I noticed that there was a steep and dangerous access route to a school and community which was causing innumerable accidents among children, parents, teachers and villagers. The people suffered, especially the children and the elderly, and when it rained it became impassable. The government had failed to rebuild this 200-metre staircase despite numerous promises. I decided to create a fund to help and began selling my art and crafts to buy construction materials. But who would build it? I knew that if the parents worked on the construction their children wouldn´t have food at home. I managed to obtain supplies of corn, beans, rice and oil sufficient for two months of work. Then, I held a meeting with PTA committee and subsequently with 600 parents. I reminded them of the need to be united to make this happen. They asked, “But what about our children? They´ll go hungry.” "No," I replied. I gave them each a large quantity of basic foodstuffs per week of work. As a result, these families were highly motivated and the 156 stairs were built without obstacles. Today the schoolchildren and community are able to move about safely thanks to the collaborative spirit of those parents. And these roots have grown into a tree. I formed a team of 116 people formed of 68 women and 48 men, a representative for each of the children in the well. And the grassroots movement of Afretlain and the "revolution of love and generosity" was born. My team maintains a low profile for fear of attracting more violence and persecution, such as I am experiencing, into their lives, but they are there, working tirelessly in my community and throughout Guatemala. They are gaining courage with every year that passes. They have given me the privilege of being the voice and the face of my friends and neighbours. 2011 was a difficult year. My father died. Then just months later, I received a message saying that my godfather had passed away too, after many years of a father-son relationship. We had had a plan, but he died before he had the chance to complete it. My fellow combattant in the fight for my people and for peace had gone. This double loss was a tough page in the book of my life. The plan had changed, and I now needed a new plan. So I created the strategy of AMOR (short for "The Revolution of Love and Generosity", “amor” being the Spanish word for “love”) to help raise funds in partnership with individuals, families, foundations, companies and governments around the world. In 2012, AMOR was established as the legal representative of the dream of Afretlain. My work is a desire, based not on ego but on my experience in the well, to help my people and all of humanity cross over to the land of peace, the land of true knowledge. This is the objective of my work. And I can´t do it alone. This dream is divided into two, into hundreds, into millions and billions of drops of water from the angels of our beautiful universe. There is no bridge, but each drop of rain is like an eagle who, when her nest is destroyed, rescues her chick by lifting it up and carrying it across the river. To do this we need more people. We need more drops of rain so that together we can carry a woman, a child, a man, over. I invite you to walk with me. We don´t need to cross deserts and oceans on our knees to understand the world of peace. We simply need to let the root of peace sprout silently in our heart. The dream needed a home, a home in which to raise our voices for reparation. This home is the Afretlain Centre in Chiul. Afretlain means "Abrazando Fuertemente la Revolucion de Amor y Generosidad", or “Embracing the Revolution of Love and Generosity”. A war may last a year or thirty-six, but its effects endure for millennia. We cannot leave the past behind when that war is still claiming its victims on a daily basis. At the end of the day, it´s the children who suffer most. And the blood of the children, women and men of the holocaust cries out for peace. And so does the blood of the living. These cries can be heard on the wind. I realised that poverty is an illness that shouldn’t exist, created by governments and strengthened by that false democracy. And so we need to unite to raise our voices for reparation, for justice, for freedom for my people, for all people. How sweet it is to see a child playing with a car or doll or with leaves or earth. And how sad it is when adults, governments who should be the guarantors of peace and security, come and drop bombs on them as they play. And this cruelty is gaining strength every day. The Centre isn´t a place where people will be programmed like computers, but one where the community can heal the wounds of the past and present, rise up and contribute their gifts and talents to the world. Only in that way will we be able to walk on the path to the true freedom, the path to equality and ultimately a politics which fights for the full life of each citizen and not just one group, which fights for education for all because education should be the stage where our talents and gifts are enriched. And schools shouldn’t have walls to prevent access. Together we can create a chorus of true love, of knowledge, of generosity that will infect all of society. Together we can fight and collaborate to establish a Guatemala and a world of peace and justice with a humane conscience. For over two decades I have been strengthening the dream of Afretlain, but I would never impose my dream on my people because they have their free will to choose whether to be slaves of the hell of suffering or be slaves of real peace, justice and freedom. My people have an awareness, but it is founded on the fear of war. And so I have been reuniting my community and representatives and presenting this dream to them. It was presented to the whole village and the people support this dream. And my dream is now their dream too. They are praying day and night for this Centre to become a reality; for my way to be guided to find hearts, to find those angels in the world with that drop of water or waterfall, our fellow lovers of peace on this earth. How will the Centre work? It will offer an education that will create both literacy and a humane awareness, helping to preserve our K´iche´ Mayan culture, language and knowledge which serve to collaborate with the world. Men will be trained who will have an in-depth knowledge of the value of life, of work, of rights, of not being silent any more. Women will be trained who won´t just seek power but who know who they really are, and who realise their role as the columns of family and society. This Centre won´t just be for indigenous people but for all cultures. Afretlain will be the home of freedom for my people and all people. The Centre will have 16 classrooms serving 800 of Chiul´s most vulnerable children at both primary and secondary level during the day. Its community health clinic will assist with maternal and child health and give Chiul its first medical doctor. The Centre will house arts studios and workshop space so that more children and adults can express themselves through therapeutic colour, weaving and music. A computer centre will help enrich knowledge and train both children and adults in the latest technology. A sports ground, mini-stadium and swimming pool will provide first-class sporting facilities that will help prevent delinquency and encourage teamwork, excellence and health. A library will encourage literacy and begin a culture of reading in Guatemala. An auditorium will house special events and performances. A museum will pay homage to the past and present a hopeful vision of the future. A vegetable garden and small farm will provide nutritious fresh food which will be prepared in the kitchens for the children, as well as produce to help raise money for the Centre. The Centre will be built with the collaboration of the whole community, in the same as with the steps. This strategy has been applied similarly to the construction of smoke-free stoves (Chimneys for Chiul) to prevent eye damage and respiratory problems caused by smoke. This voluntary labour will help to reduce the costs of the construction. The construction of the Afretlain Centre will be a great celebration from the first foundations dug to its completion; it will be a sacred and memorable experience for the people and the volunteers who help build it from all over the world, a story of hope for Chiul, the Quiché region and Guatemala. The Centre will be built in stages. For the first classrooms, materials, electricity, gas and water installations and land purchase we are looking to raise an initial amount of £35,000 ($45,000). How can you be part of this dream? This dream needs all kinds of professions, abilities, the talents of all the lovers of peace to make it happen. Here you will have a space where you can realise your dreams and help others realise theirs too. That´s how we can start to water the soil of knowledge/wisdom. Perhaps you say I´d like to but I can´t. I say you can, first of all by not being a part of the wars in the world in which millions of children die. You can, because your dream has a space in my dream, a space in the promised land. You can sponsor a child directly, by providing them with food and scholarships to building them a home. You can also sponsor a specific project, such as the construction of the Afretlain Centre, or other programmes such as Human Rights, Reparation for the Genocide, Scholarships for the Afretlain School, Humane Education, Food for Life, Homes for Orphans, Gender Equality, Reforestation, Sustainable Agriculture and Livelihoods. Some angels have been part of this dream by buying my humble paintings, my craft, bags, scarves and table runners with all the love that is deposited into that work as gifts to themselves, or for their families, friends and partners for birthdays, Christmas, St. Valentines, Mothers and Father’s day. Another opportunity to be part of this dream is through my teachings on love and peace and how to realise your dreams and understanding deeply this philosophy of peace, freedom and justice, by giving their drop of rain as ﻿students of the Institute﻿, as coaching clients or tour participants. Also, others have bought and promoted my book, The Light of Peace, a book on the roots of this dream, on how you can free yourself from programming and achieve your dreams and the peace the world is desperately seeking. Even if you feel you can´t donate, perhaps you can be a voice on behalf of this dream with your friends, your school, your family, your work, on your travels or by connecting AMOR with other organisations, and that will be your drop of rain. Because of you, others will give their drop of rain by donating. I go from house to house with the people and so I see and know their needs. The strategy and vision of this dream is for children and families to receive the precise help they need directly, that those drops of water arrive directly with people as though the giver were arriving at the children´s homes with the gift themselves. All of these drops of rain provide sustainability for the dream and we hope the sustainability of the Afretlain Centre, to which others have donated directly. All of these people are creating an impact that is helping transform lives in Chiul, in Guatemala and the world. And today more than ever, there´s no need to come to Guatemala as all of this is possible online. I was telling a family recently, if your mother needs help and you see your mother as being outside your family now that you have our own family, you will see this as difficult, but if you include her in your family and your daily expenses it won´t be extra but part of your family. The same with this dream: if wants to be the friend of your family, the friend of your children, your brothers and sisters, your friends. This dream Afretlain invites you personally to be a part of its family. This dream isn´t charity but a dream to end all need for charity. People are not beggars, but we do have a chance to be angels.